How bad are things in California? The budget cuts and fiscal uncertainty are so severe that the University of California at Los Angeles's business school is proposing that it give up all state funding -- in return for greater budget flexibility and the right to raise out-of-state tuition to the levels of private institutions. The plan has been approved by UCLA, but is awaiting a review by Mark G. Yudof, president of the university system. Leading public universities regularly complain about the decline in the shares of their budgets that come from the state, even as regulation has not lessened. But being willing to give up those funds altogether is rare. The University of Virginia's business school did so, but has very much been considered an outlier. "The driver here is the decline in state support," said Judy D. Olian, dean of the Anderson School of Management at UCLA. She stressed that she did not view the shift as changing the business school's mission or its connection to the rest of UCLA or the UC system. At this point, she said, state support makes up only about 18 percent of the business school's $96 million annual budget, and she said that percentage overstates the contribution because much of the state support is tuition revenue that must go to the state first now before it is returned to the school. In a new model, that revenue would never leave the business school. In the end, the business school would truly lose less than $6 million a year, Olian said. 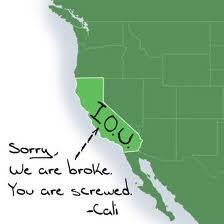 Olian stressed that the (tuition) differential (favoring) California residents would remain -- and noted that California's residency laws are loose enough that many who enter the program as non-residents are Californians by the time their second-year charges are due. Further, she noted that "tuition has been going up under the state-supported model," and she said that such increases might well be more predictable under the new approach. 1. UCLA Anderson has not yet received approval for financial self sufficiency. The new model is pending review and approval by UC President Mark Yudof. The proposal has been vetted and supported by the School’s faculty, the Board of Visitors, and UCLA’s leadership. 2. The public mission of the school and faculty/student affiliation with the University would not change – from the outside and as a member of the UCLA community and Senate, we would look and act the same. 3. The benefits to UCLA would include the ability to redirect funds to cover the cost of undergraduate over-enrollment and unfunded mandates at the University, plus receipt of an overhead fee from UCLA Anderson. 4. To offset the loss of state support, UCLA Anderson will engage in cost containment efforts, grow private funding and new revenue streams, and modestly raise tuition. 5. The model is consistent with the “new UC” vision that the President and UC’s Commission for the Future are espousing, which includes a call for self sufficiency models where they can work. 6. While an innovative and interesting prototype, this model would be viable only for very few schools in the UC system; it is not the answer to the UC’s funding crisis. 7. Student fees would increase only modestly since they have already escalated close to market levels due to declining State support. 8. Student aid would increase by about 30% given the funding models we have built. 9. UCLA Anderson would benefit from greater flexibility around program investments and faculty salaries, resulting in our ability to remain market competitive. 10. The benefits are to the School, to UCLA, to the UC system and to the economy of the region. As a school with 40% entering students from California, and about 75% ending up placed in California, UCLA Anderson is a major ‘importer’ of talent and contributor to the region’s business leadership pipeline.